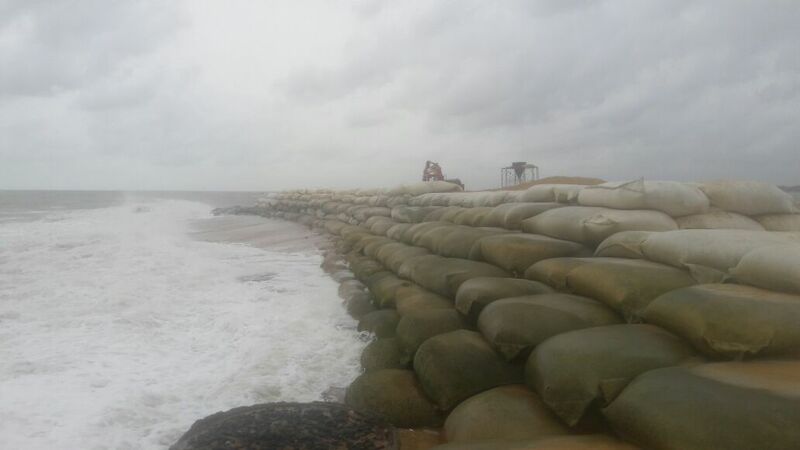 Sand bag dam that is curently being constructed at Chilaw beach. Each bag contains 6 tons of sea sand. This is a perfect solution for sea errosion and to preserve the beaches for tourism and recreational activities. Bags are made out of 1000gsm GeoTextiles stitched with Dynforce sewing threads locally. If you want to know more about Dynforce threads, do not hesitate to stop by our outdoor threads section. You will find ample information about this product, and of course, a link to our online store to test the resistance of this fantastic thread.